It’s Valentine’s Day and although I am not super into the wining and dining version of the holiday that adults embrace, I am a HUGE fan of the grade-school version that brings together our love of crafts and food. Her classmates got a new variation on last year’s Mad Libs Valentines. The little rolls from last year were awesome, but required lots of mama assistance in the rolling, holding and securing department. 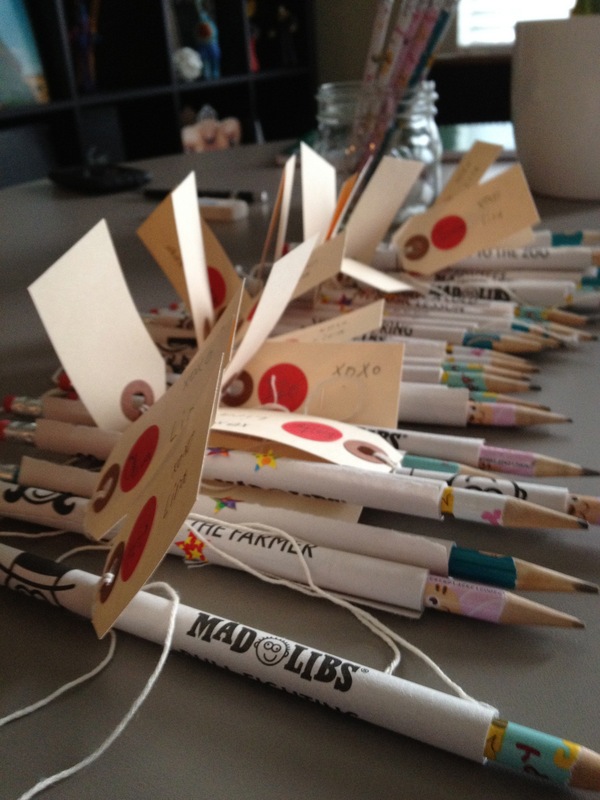 This year’s pencils upped the Valentine to gift status and helped make the whole endeavor much more mama-free. 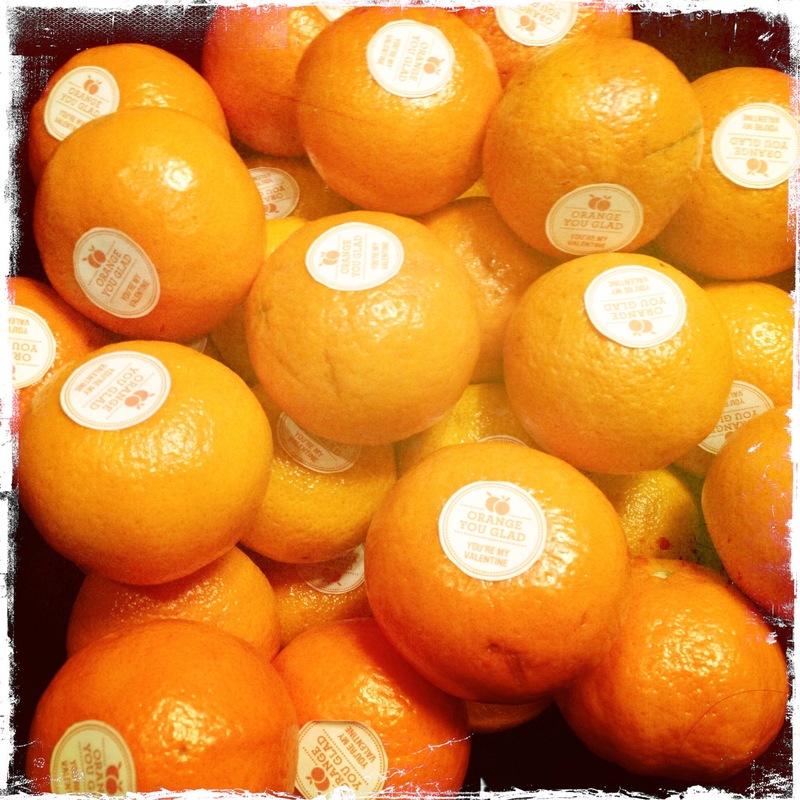 We also contributed some clementines for their little celebration. Stickers for those little guys found at Twig & Thistle. Her teachers got a kid-assembled parfait with homemade granola (compliments of mama) at the bottom, berries (her teacher’s favorite), vanilla yogurt and the 8yo’s strawberry sauce which consists of pureed strawberries and applesauce. 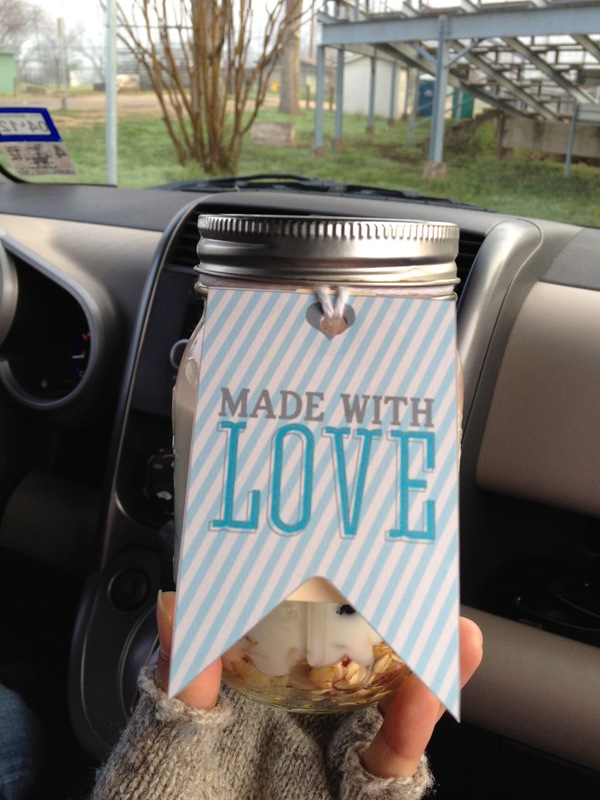 Tags for the jars were a free printable from eighteen 25. Have a fun Valentine’s Day and remember that sometimes the smallest of gestures can help make your loved one’s days.